We discussed finding guest blogging opportunities in our previous post. At the end the article, I left a hanging question about how you can determine the quality of sites you’ve found. “Quality,” in this case, is a very vague term. In the case of finding out the value of a website, quality is determined by different metrics that I will discuss in this post. 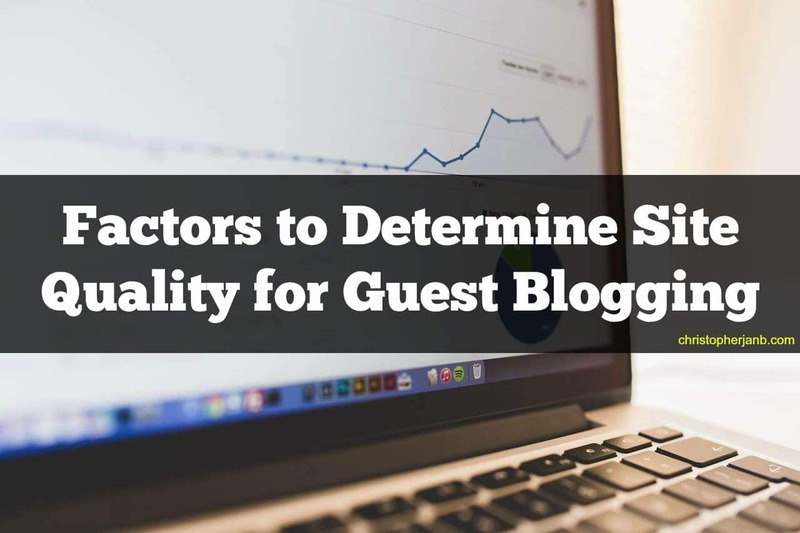 Why is it important to determine the quality of sites for guest blogging? To increase your reach to your audience and build relationships with influencers, you need to post on a site that is visited by people interested in your niche. In other words: [clickToTweet tweet=”Guest blogging is a social activity, not for the purpose of acquiring a backlink.” quote=”Guest blogging is a social activity, not for the purpose of acquiring a backlink.”] This is achieved with a high SEO score. A site that optimized by following the best on-page and link building practices will have better chances of getting on top of search results for their keyword. As a guest blogger, you want a site that is easily found in search results so you can reap the benefits of high readership. Aside from site traffic, the site needs to have a strong social influence. This is determined by the number of followers and interactions they have on their social media accounts. Unfortunately, some of these factors are not made public to users, site traffic most especially. This is why we need to rely on site metrics to help us get a better idea of how a website is performing. [clickToTweet tweet=”The higher the metrics of a site is, the more you should pursue guest blogging on said site!” quote=”The higher the metrics of a site is, the more you should pursue guest blogging on said site!”] The site parameters that will be discussed here are made up of different algorithms to help you figure out the quality of the site. Since not all metrics are created equal, all of them will provide different results and data about the target site for your guest post. This is a good thing – the more data you will use to compute the site’s value, the more accurate your returns will be. Below are the different factors you need to use in determining the site’s quality. Don’t want to find guest blogging opportunities on your own? Then download my FREE list of 1,343 blogs that accept guest posts so you can just pick and choose which sites to write for from the list! Alexa is a popular analytics tool that ranks websites on a global and local scale. The figures shown on Alexa results are far from accurate, but it nonetheless provides you an idea of how a site or blog is viewed. Not to mention, it is the only tool that provides public rankings for all web pages. Go to the site and type the URL of the blog to show its ranking. For this exercise, I will be using Social Media Examiner as an example. Moz is a digital marketing agency led by Rand Fishkin. It has developed an algorithm that uses aggregated ranking factors to come up with metrics to determine the value of a site. These are called Page Authority and Domain Authority. Page Authority refers to the value of a particular page in a domain, while Domain Authority relates to the value of the domain as a whole (including subdomains). The higher both metrics are (on the scale of 100), the more chances that the page and domain will rank in search results. Go to the Open Site Explorer (also a property of Moz) and enter the URL to see both metrics in the results. This refers to the number of shares each post on the blog receives and the number of followers the blog has. You’d want to write for blogs with lots of fans and shares so you can increase your reach by having tens and hundreds of users tweeting and posting your articles on their social accounts. 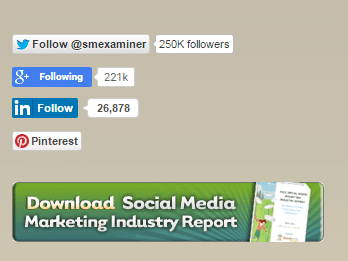 Most blogs feature the number of followers they have on the sidebar. 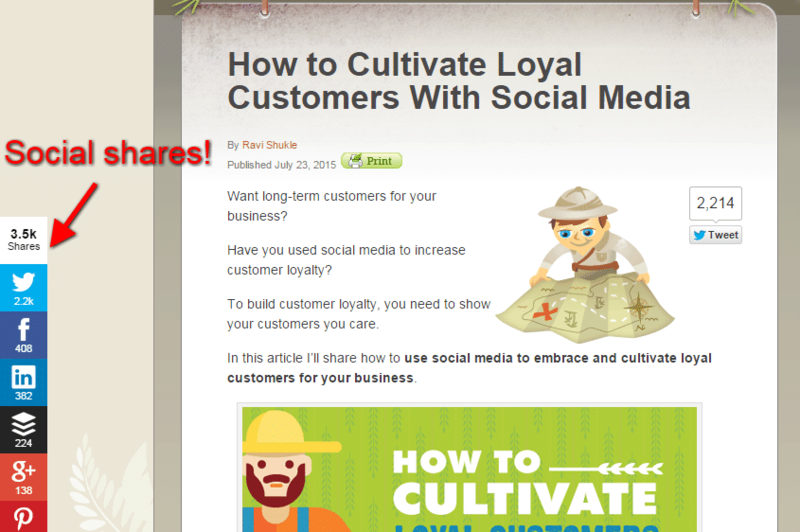 Same goes with the social shares for each post in the blog. 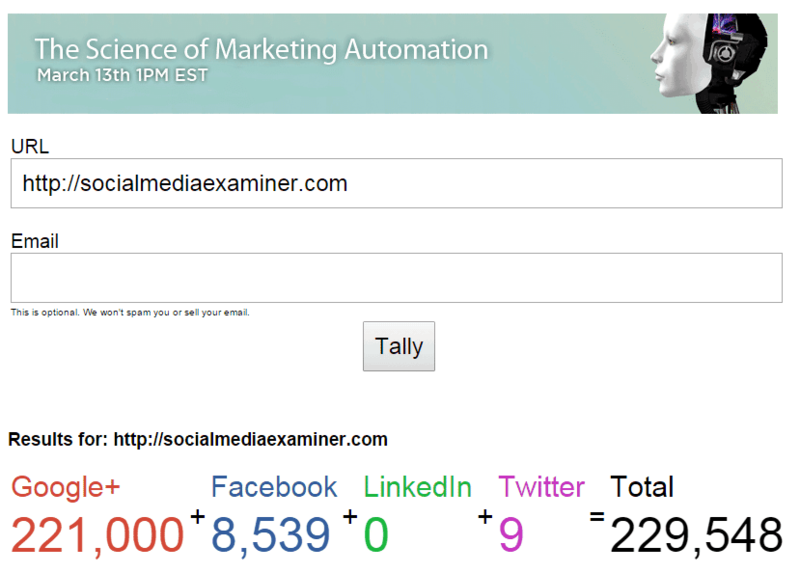 If the shares are not shown, go to LinkTally.com and enter the URL of the blog post to demonstrate the number of tweets and likes. You don’t have to use a tool to find out if the blog has lots of comment. Just visit the blog and choose a random article from the pile. Scroll down the comments and see how many users have chimed in the article. Do this on multiple posts to gauge the participation of readers on each. You would want at least one comment on each post so that you can expect at least one person to share their opinion on yours. 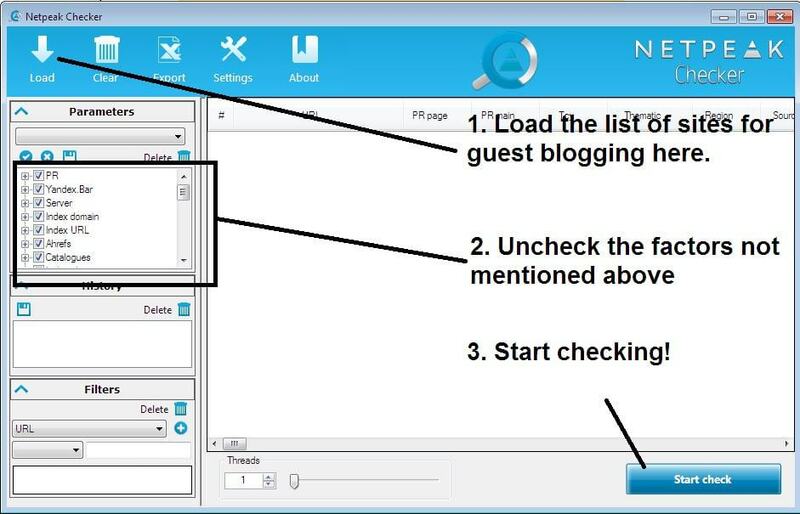 To find the Alexa Ranking, Moz PA and DA, and social proof much faster, I suggest you download the Netpeak Checker. It’s a free tool that finds these metrics for you. To use this tool, enter the site when you plan on submitting your guest posts and uncheck the parameters not mentioned above to filter the results to the relevant factors. Once the tool is done finding the metrics for you, download the sheet and save it for future reference. Order the sites from highest to lowest based on the factors so you can start with the best-performing sites and filter out the bad ones. Now that you have the data in hand, you can find out which sites to target for your guest blogging campaign. The next problem we are going to tackle on my next post is crafting your guest blogging pitch to compel site owners to publish your content. Until then, organize your list of sites to send your guest posts by referring to the metrics featured above and using Netpeak Checker. Don’t want to find guest blogging opportunities on your own? Then download my FREE list of 1,343 blogs that accept guest posts so you can just pick and choose which sites to write for from the list!